The Lagos State Police Command at the weekend rescued 13 children and 15 adults chained and locked up by one Emmanuel Adeyemi at the Oke-ira area of Ojodu, Lagos. The Commissioner of Police, Lagos State Police Command, CP Fatai Owoseni, acting on a tip-off, had deployed operatives from the Area G Command Headquarters to the scene. Although the initial intelligence report was that a teenager was chained in the house at Oyinbo Unity Estate, Olamidun Close, Yakoyo, Oke-Ira, Ojodu, subsequent search of the residence by the police revealed 27 others apart from the 17-year-old Toba Adedoyin the Police had gone to rescue. Confirming the incident, the state Police Public Relations Officer, Dolapo Badmos, a Superintendent of Police, said, “The command received a report through Area ‘G’ Command Headquarters, Ogba, that a child was chained in a house at Oyinbo Unity Estate, Olamidun Close, Yakoyo, Oke-Ira, Ojodu. “Consequently, a team of policemen was mobilized to the location where a teenager named Toba Adedoyin ‘m’, aged 17, was found in a room with a chain on his legs. “The victim was allegedly chained by one Emmanuel Adeyemi ‘m’ who claimed to be his father, in order to restrain him from going out. ” Further search of the premises led to the discovery of other people chained by the suspect. 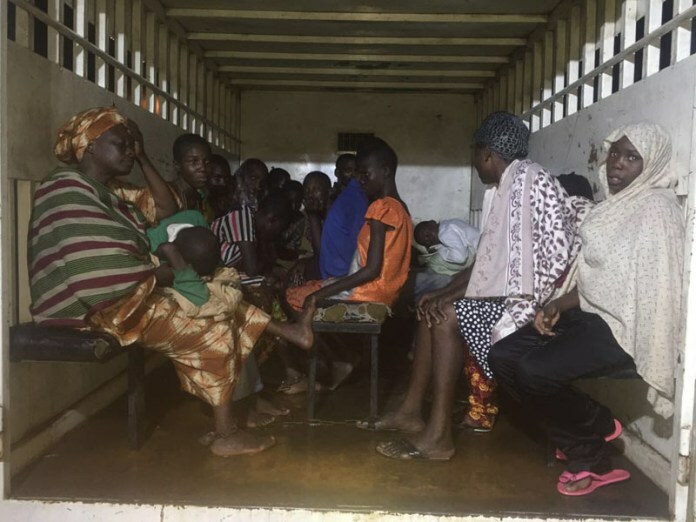 “A total number of 28 persons, comprising six adult males, nine adult females, seven female children and six male children were rescued and taken to protective custody.